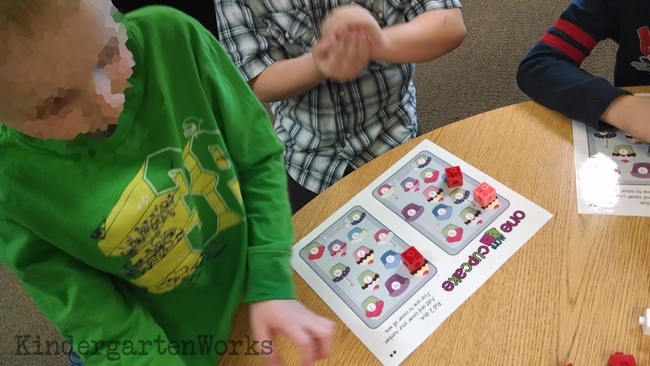 Playing fun math games is one of my key strategies in giving kindergartners the time to practice key skills. 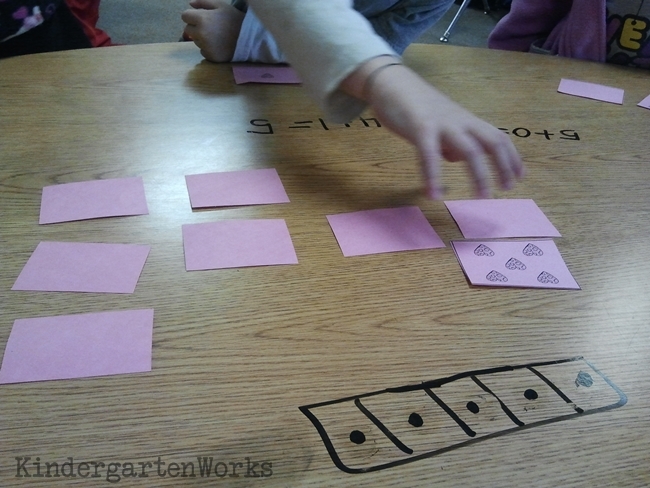 Here’s how I fit math games into our guided math time while making it simple for me to keep up. I’m one for working smart, so I try to make the work I do last! Let me share how I do this in our practice zone – our math games center. Remember that I call my guided math time – math zones. Essentially – the practice zone is just like it sounds. 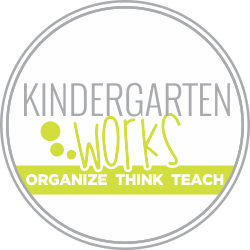 It’s packed with materials, activities and fun math games for my students to practice. What goes into this zone? Well, I’m not a worksheet* kind of gal — so those are nix. Here’s how I choose what to include, how long the materials stay in the zone and how I keep it simple. The games that I include are planned out to match my standards for a quarter. I try to include a variety of types of activities, but I don’t go overboard. Each quarter I try to keep similar activities where the materials are the same but the content changes. This way I don’t have to teach and model a new set of expectations, I can simply review and focus on content. 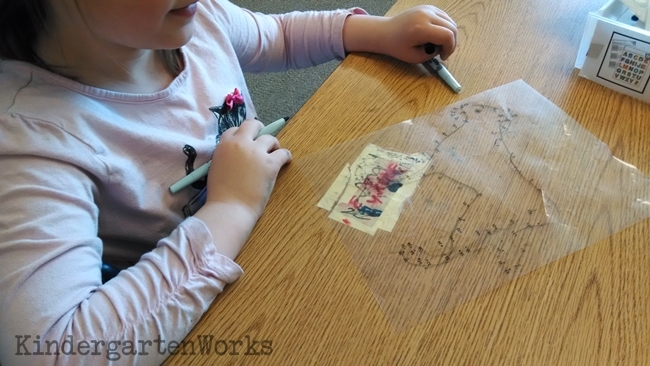 *So – if you have a mat or worksheet that is good practice – you can make it more interactive and fun by turning it into a dry-erase mat or transparency for students to use and re-use. Upping the content using transparencies… Recognizing numbers to 100 and beyond. Want to see what this list looks like in action? Here’s an example of everything that goes into our practice zone during the 4th quarter. I’d love to share a free example of what we use with you too. 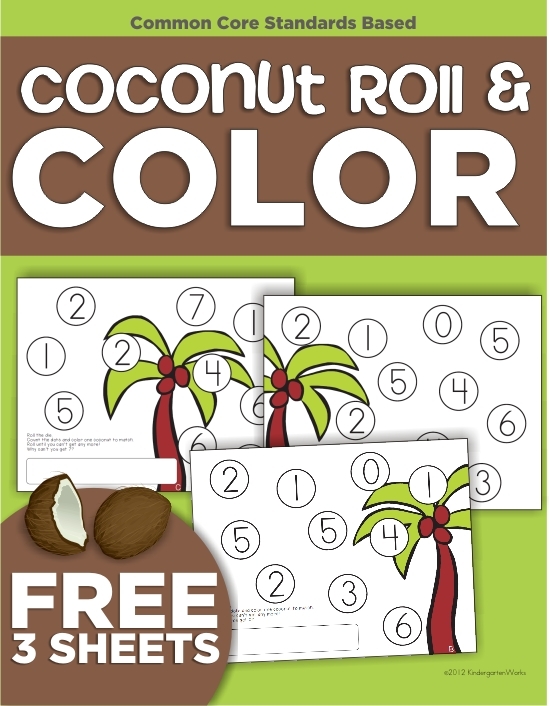 Take this simple coconut roll and cover game — it’s an example of a marker activity that I use to help teach how to use markers, numeral recognition and subitizing dots on a die during the first nine weeks of school. Later on, they’ll use markers for a roll and graph and roll and trace a shape activity. Teach them how to use the materials once and then simply change up what they use to materials for. 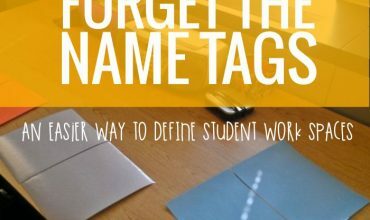 When you can – keep like items refreshed as the year goes on… meaning simply update what skills the students are working on. The beauty in keeping the materials as similar as possible means you won’t have to re-teach everything every week or even every two weeks. 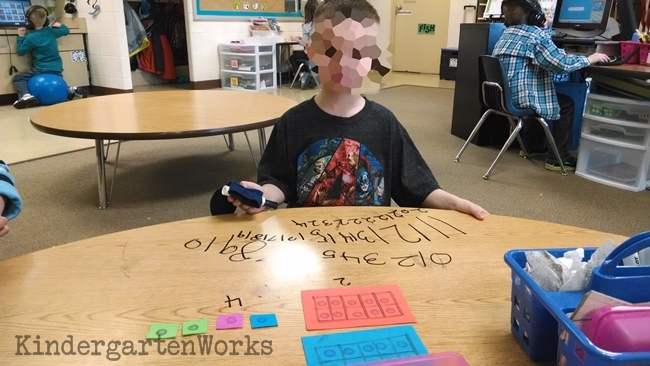 It’s my belief (after doing this for a few years) that you really only need to rotate items that you have put out for your math centers every 6-9 weeks. And you don’t have to rotate them all out or rotate them all in at the same time. Simply add games in as time allows and take your cue from how students are doing in groups for when it’s time to retire or refresh an activity. Even though I like I plan out my practice zone (game center) by quarter I do recognize that some of the items won’t get introduced until halfway into the quarter or some at the very end. Those particular items will just stay for 6-9 weeks which obviously carries us into the following quarter. At any one time, I may have 10 to 16 drawers of activities going on. 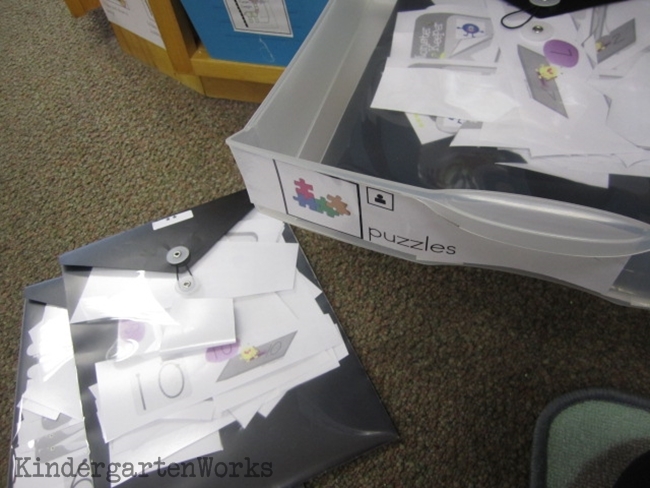 Here’s how I like to keep that many math games and activities organized. I want it simple for my students to access and clean up. When I say keep it simple, I really mean it. Put in the activities and materials you use in your teacher zone groups as a way to reinforce the lessons you’ve taught. Think of it this way – it’s just like the approach we use in reading. We need to give them ample opportunity to PRACTICE and this is a structured way for them to do it independently. You can differentiate work in a math games center. If you place materials that they used in a small group setting with you (like in the teacher zone) they will know exactly how to use those materials. Label baggies with group levels and place their items in a bag. A single drawer (like your memory game drawer) can have multiple levels of memory in it to accommodate all of your groups. Give a whole drawer to a particular group’s activity. 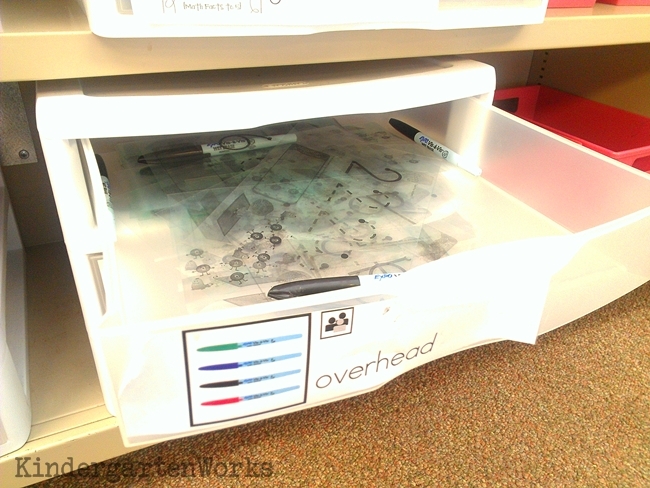 Okay, so if you don’t have drawers… you can still use this idea. I like to use stars to differentiate levels of math materials. Simply label the entire drawer instead of a baggie with the stars, level or group name. Keep the games low-key and focus on content. If something ends up being super-high interest for your kiddos, repeat the same kind of activity next quarter with an amped-up level of content that matches your new standards. Build in teaching these games and activities into your day when it best fits you. I liked to teach most of the games and activities, if I could, during a warm-up activity in the teacher zone. But, one year I had to totally rethink how I fit in modeling the math journal prompts since we did math in the morning. Right now, what works for us is to use the second day of our rotation (the day the journal prompt is being completed by the second half of the class) and teach/model the new activity whole group (if it applies whole-group). Since I’m only reviewing how to complete the math prompt and edifying students math journal examples from the previous day, I have more time to devote to introducing a new game. I also take this same approach to fitting in teaching new technology zone math games. It’s my hope that seeing how we incorporate math games and activities into our guided math time (while making it simple for me to keep up) is helpful to you. 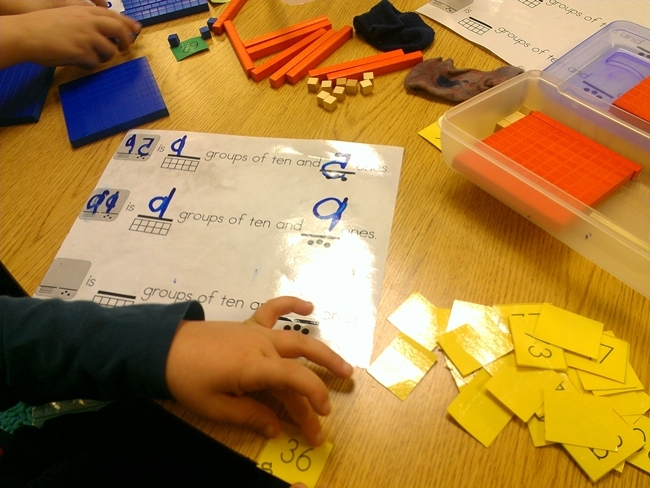 Need some help figuring out how to get start doing guided math in your classroom? I love the roll and cover game. Since paper is like gold at my school printing multiple copies of things doesn’t always work.. Rather than coloring or dotting the circles we cover them with lids, One child might have red lids and another child might have blue to cover the circles. The group that needs a challenge might play it as a bump game while my ones that need alot of practice each play has their own card. Paula, that is a great tip! I like to use scrap paper too for stuff like this too. I definitely am a fan of slipping things into plastic sleeves and we use dry erase markers all the time. 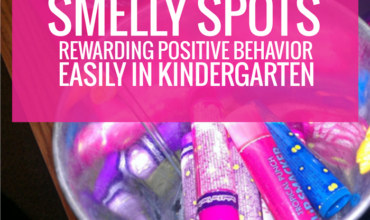 Thanks for sharing – love the ideas of using it like a bump game!